MetroWest is the sister golf course of Falcon's Fire so be sure to arrange a double course deal before you play either course for some fantastic discounts. 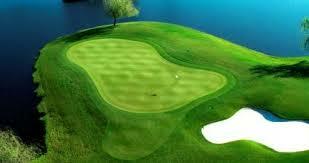 MetroWest Golf Club, voted the best golf course in Orlando, is located just minutes away from Universal Orlando Resort. The Robert Trent Jones Senior signature design features spring-fed lakes, mature native trees, expansive rolling fairways with dramatic elevation changes, and large undulating greens surrounded by sculpted bunkers. The Orlando golf club provides a fair, yet demanding challenge to make a pleasurable golf experience for players of all skill levels.